FEATURES: Use for bumpers, building trim, recessed conduit or wherever half rounds are used. 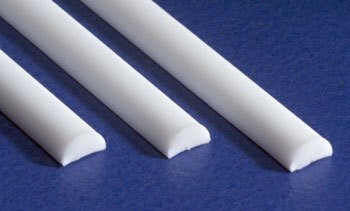 White styrene half round rods may be cut to fit modeling needs for any scale. Sturdy and durable. User friendly and economical. 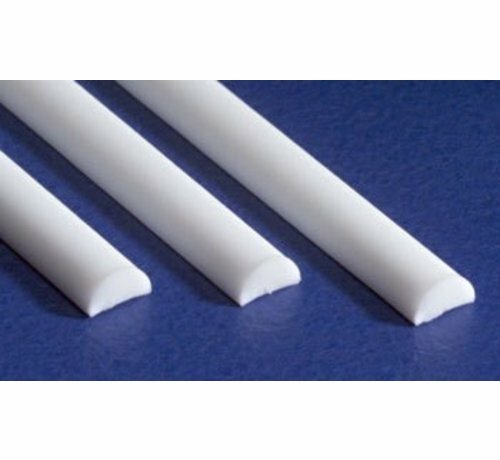 High quality styrene material enhances scratch model building techniques. May be painted or weathered for added realism to your model.